Cat Health: What Is Considered Normal? What is a "normal" heart rate for your cat? How long are cats pregnant for? Does a body temperature of 102.5 F mean that your cat has a fever? Being familiar with what is normal and what is not helps you identify health problems for your cat quicker. If you visit the veterinarian at the first sign of a cat's illness, it is often less expensive and your cat is more likely to have a favorable outcome. If you have a dog, do not hesitate to read up on what is "normal" for a dog, too. Feline "normal" body temperature range is 100.5 to 102.5 F (38 to 39.2 C). A body temperature below 100 or above 103 F warrants a call to your veterinarian. Keep in mind that some cats may become stressed in the veterinary office (or car ride to the office), and may seem to have a higher-than-normal body temperature temporarily. Gauging body temperature by the moistness of the nose is not reliable. Sometimes a fever can be noticed by how warm the ears feel, but this is also not a reliable method. Really the only reliable way to check your cat's temperature is via a rectal thermometer. A normal cat respiratory rate is 16 to 40 breaths per minute. Respiratory rate is the number of breaths per minute. Normal respiratory rates are assessed when the cat at rest. 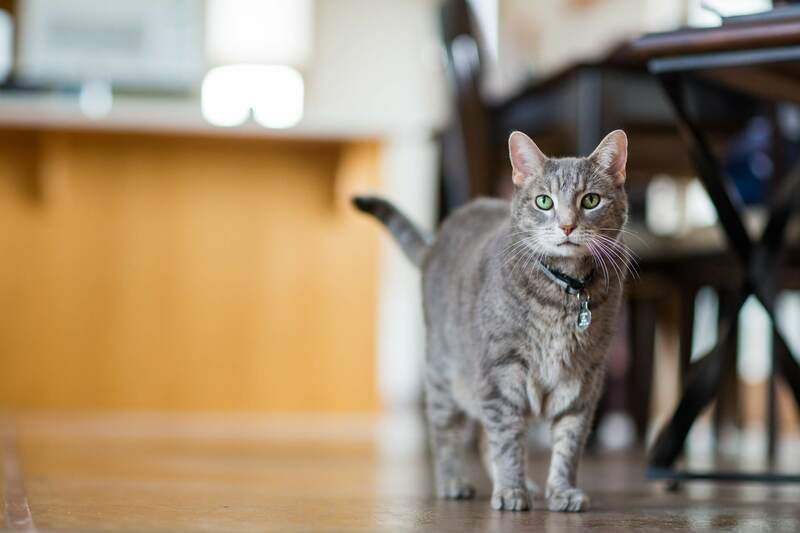 Other things you should be aware of when it comes to a cat's respiratory system are upper respiratory infections and respiratory system allergies. A normal cat heart rate is 120 to 140 beats per minute. When stressed, heart rates will increase. If the cat is healthy, this will normalize once a cat calms down. Cats that suffer from heart disease, heart conditions (cardiomyopathy), or other diseases such as hyperthyroidism can have increased heart rates of 200 beats per minute in some cases. On average, a feline pregnancy lasts 63 days but can vary from 57 to 69 days. Non-spayed female cats will go into "heat" seasonally in the spring and fall and may go into heat several times during the season. The period of heat lasts an average of about a week but can vary from three to 14 days. If a cat has been going through heat cycles every 10 days to two weeks, and suddenly stops, it is very likely she is pregnant. The only safe way to avoid a cat pregnancy is to consider spay surgery. The best time to spay a cat is right before it reaches sexual maturity, which is between 4 to 6 months old. Cats start out with 26 deciduous (baby) teeth. By six months of age, these baby teeth fall out and are replaced by 30 permanent adult teeth. If the baby teeth do not fall out and the permanent teeth erupt under them, this can lead to dental problems, such as increased tartar buildup, an uneven bite, and gum irritation. It might be a good idea to have these retained teeth removed at the time of spay or neutering while they are already knocked out. As a responsible cat owner, be on the lookout for bad breath, this can sometimes be a sign that something is wrong with your kitty. Also, you might want to learn how to brush your pet's teeth.